Laurence discussed his book Death in Big Bend with host Rachel Osier Lindley of KRTS Marfa Public Radio on July 26, 2010. Listen to the complete interview by clicking the play button below. Big news! We at Behind the Lens are extremely excited about Laurence's new book, Death in Big Bend. In order to get more folks interested in this amazing book, we are having a GIVEAWAY! The prize will be a $20 gift card to either Amazon.com or BarnesandNoble.com - your choice. Read Laurence's new book, Death in Big Bend. Write a review of the book, between 100 and 300 words in length. Click here for an example of a review. Click here for Amazon review guidelines. Post your review with the listing for Death in Big Bend at either Amazon.com or BarnesandNoble.com. After your review has been posted, please enter the link to your individual review in the Linky Tool (where it says, "Click here to enter") at the bottom of this page. Send us your name and email address so we can contact you if you're the winner! One review = one entry to win the gift card. You can post your review at both Amazon and Barnes & Noble...and get TWO chances to win. Remember to add each link to the Linky Tool. Your review and your link on the Linky Tool must be posted by midnight Friday, October 1, 2010. We will also have a special prize (TBA) for a stand-out review. And we would love it if you would become a follower of Behind of the Lens. And if you're a giveaway lover, check out giveawayscout.com. They've got a thorough listing of blog giveaways and other online freebies. Check out this Amazon.com review of Laurence's new book, Death in Big Bend . If you've read Death in Big Bend, we'd love to hear your comments and thoughts about the book. Better yet, post a review of the book on Amazon.com or BarnesandNoble.com. 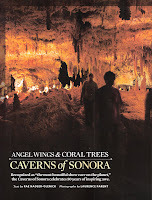 Check out Laurence's photos of the Caverns of Sonora in the September 2010 issue of Texas Highways. 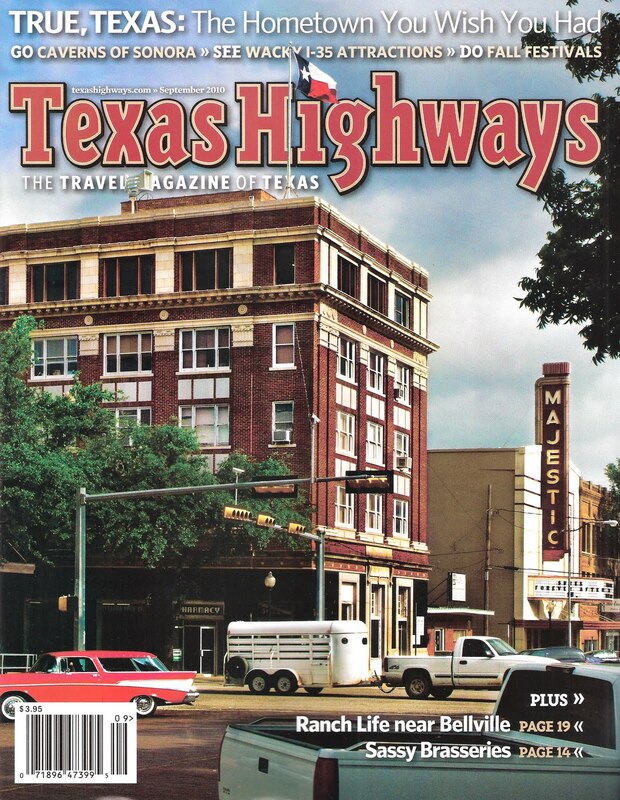 The article, written by Rae Nadler-Olenick, appears on pages 46-53. 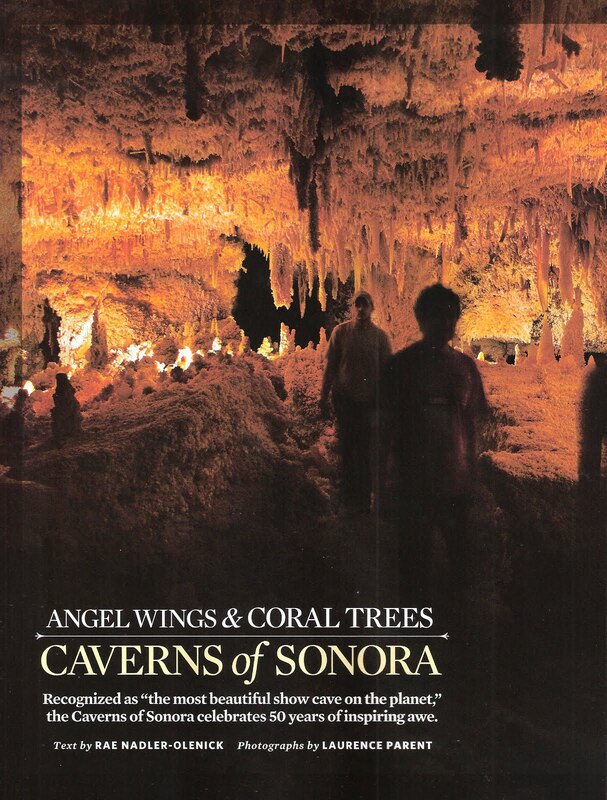 Laurence grew up spelunking in Carlsbad Caverns National Park in Carlsbad, New Mexico, where his father was a park ranger. My presentation on my new book, Death in Big Bend, in Alpine at the Way Out West Book Festival went very well. Big Bend National Park's chief ranger, Alan Etheridge, introduced me and talked a little about his experiences with rescues at Big Bend and other parks where he has worked. Then I talked about how the book came to be, the difficulties in writing the book, and about specific incidents in the book. In particular I talked about two heat stroke deaths at the park, a horrible double murder, a climbing death, and an assisted suicide/second-degree murder. Mr. Etheridge talked about two recent incidents at the park where the people were saved, but just barely. The room where I was speaking was full. I guess everyone has a little bit of a morbid interest in tragedies and rescues, including myself. Afterward I signed a lot of books and answered questions. With the book only having come out 2-3 weeks ago, it was a great debut along with the radio programs. Death in Big Bend - Now Available Online! Laurence Parent's most recent book, Death in Big Bend, is now available on Amazon.com and FSBooks.com. The book chronicles 17 real-life stories of death and rescue in Big Bend National Park that have occurred since the 1980s. Monday, July 26, Laurence spoke about Death in Big Bend in a live radio interview on Talk at Ten with Marfa Public Radio host Rachel Osier Lindley. 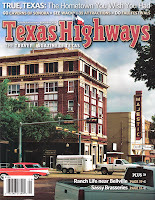 This past Saturday, Laurence gave a talk about the book at the Way Out West Texas Book Festival in Alpine, Texas. Laurence's next radio interview about the book is scheduled to air on KUT 90.5 in Austin later this month. Death in Big Bend is getting great reviews on Big Bend Chatter. Laurence has posted some background information about the book in response to comments made on that thread. Join the conversation by clicking here. Death in Big Bend can be ordered through Front Street Books and Amazon.com at this time. The book will soon be available in Whole Earth Provision Co. stores and Barnes & Noble bookstores. If you read the book, please add your review to the book's listing on Amazon.com or BarnesAndNoble.com.